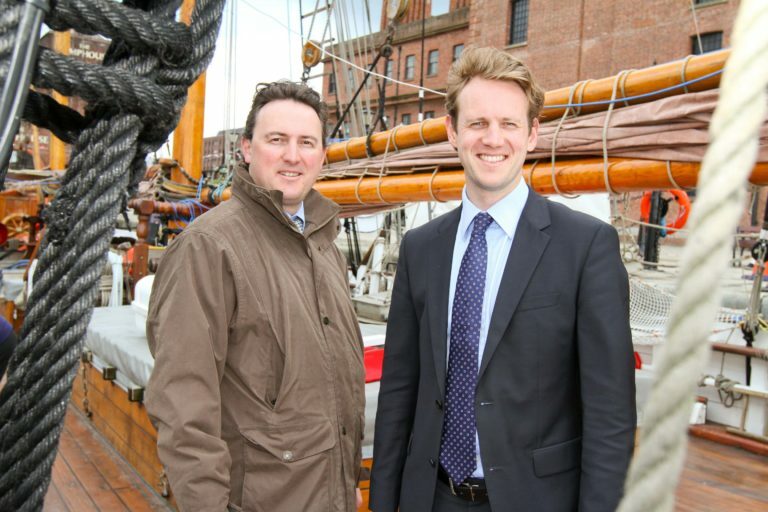 North West PR firm Polaris Media has won a collection of new maritime industry clients at home and overseas. The company, run by journalist brothers Ben and Sam Pinnington, has been appointed by its first Portuguese client the port and logistics park, Blue Atlantic based in Setubal near Lisbon. In addition, two Polish maritime engineering companies have also come on board, Baltec Marine based in Gdansk and Gdynia headquartered Intermarine which has just opened a new engineering facility in the Port of Portland in Dorset following a six-figure investment. Closer to home Polaris has won a deal with Liverpool Seafarers Centre to promote the charity’s work supporting the 50,000 seamen who travel through the city each year. Polaris will undertake this work at pro-bono rates. Elsewhere, Polaris has won new orders from existing client Oman Shipping, one of the biggest shipping lines in the Gulf to help promote its fleet of 51 ships. Polaris managing director Ben Pinnington said the company will be providing a range of services to the new clients including PR in international maritime press and regional media, copywriting, photography and social media support. He said Polaris is particularly pleased to see its exports division grow. Ben said Polaris is further gearing up for a busy year supporting its long standing client shipyard Cammell Laird with numerous campaigns including the launch of the Sir David Attenborough polar ship, and its campaign to win the contract to build five new Type 31e warships for the Ministry of Defence. Polaris has further been appointed to promote the campaign to build a new £2.5million Battle of the Atlantic Memorial in Liverpool with a trip to America planned for the autumn taking in the British Embassy in Washington and consulates in New York, Chicago and Boston. Ben said Polaris has opened a new office at Jactin House in Manchester’s Northern Quarter this year to support its operations in the region. He said the company is recruiting for numerous roles including an apprentice, freelance PRs and secretarial support. Polaris was founded in 2011 and has offices in Manchester and Merseyside. Polaris specialises in maritime, engineering, exports and heritage. In 2015 the company diversified into digital publishing running the www.IndiaGBnews.com and www.OmanGBnews.com news websites. Its PR clients include Cammell Laird, Atlantic Container Line, Roxtec, Oman Drydock, Oman Shipping and Morris & Spottiswood.